Give your iPAQ a real battery performance boost with this service, an extended life 2250 mAh aftermarket battery will be fitted to your unit. 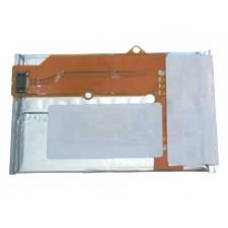 This battery offers 120% more power than the original 1000 mAh Compaq battery, this has been fully tested and is a totally compatible replacement part. The extra power available will give your iPAQ the longer battery life you always wanted. iPAQ battery (2200 mAh), offering 125% more power than the original 1000 mAh Compaq battery, this has been fully tested ..